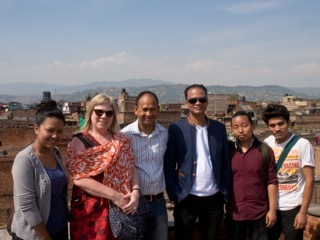 With ceramic artists Ramesh Pradhan and Gopal Kalapremi (ceramic artist and professor of art) Shrestha and ceramic students from Department of Arts, Kathmandu University in Bhaktapur, in April 2014. Many of the buildings in the background are potter’s houses and courtyards and are now destroyed. Almost one year ago I visited Nepal for the first time. On the advice of a wise friend I took a “Go-Pack” in case there was an earthquake. What’s a Go-Pack, I asked. Well, apparently it’s what all the NGO’s require their employees and volunteers to carry in earthquake zones. It’s basically a survival day-pack with emergency supplies to keep going for a few days: space blanket, first aid kit, muesli bars, water and purifier, solar radio, torch, that sort of thing. Not the usual contents of my travel bag for a holiday! It seemed like overkill – should I really worry so much? I was laughed at by plenty, including my nearest and dearest, for being too paranoid. But I took my Go-Pack, had the most wonderful holiday, begrudgingly shared the museli bars with my sceptical partner on the last day and quietly thanked my unknown angel that luckily we didn’t have cause to unpack the Go-Pack. On one year, almost to the day, and I have been given cause to wonder if the Go-Pack would have helped us at all if we had been in the tragic earthquake on 25 April. If we had been inside any of the beautiful heritage buildings that we visited – which are now in ruins, crumbled like dry biscuits – a little Go-Pack would probably have been useless. But seeing the survivors struggling in the following days to remain dignified and patient whilst joining queues for food and water, perhaps it would have helped until the Australian Government helicoptered me out of there. 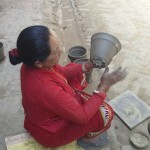 Scenes from the pottery villages of Thimi and Bhaktapur. But the local Nepalis can’t fly away. It is their home and damaged as it is, they must stay and rebuild. They are spiritually strong, determined and compassionate people but they have a long journey ahead, probably years, to rebuild not just their physical buildings but their lives. And the government is disorganised and corrupt. This disaster has claimed over 7000 people and countless whole villages and towns in one of the poorest countries in the world. How can we best help? Not just now but ongoing and consistently into the future. Do we send donations to a big aid organisation? Yes, obviously we do. But what if we know people on the ground are not getting aid? What if we have connections to those communities and know individuals? Let me describe one such connection to one of the communities most damaged, the heritage town of Bhaktapur and it’s neighbouring village Thimi. 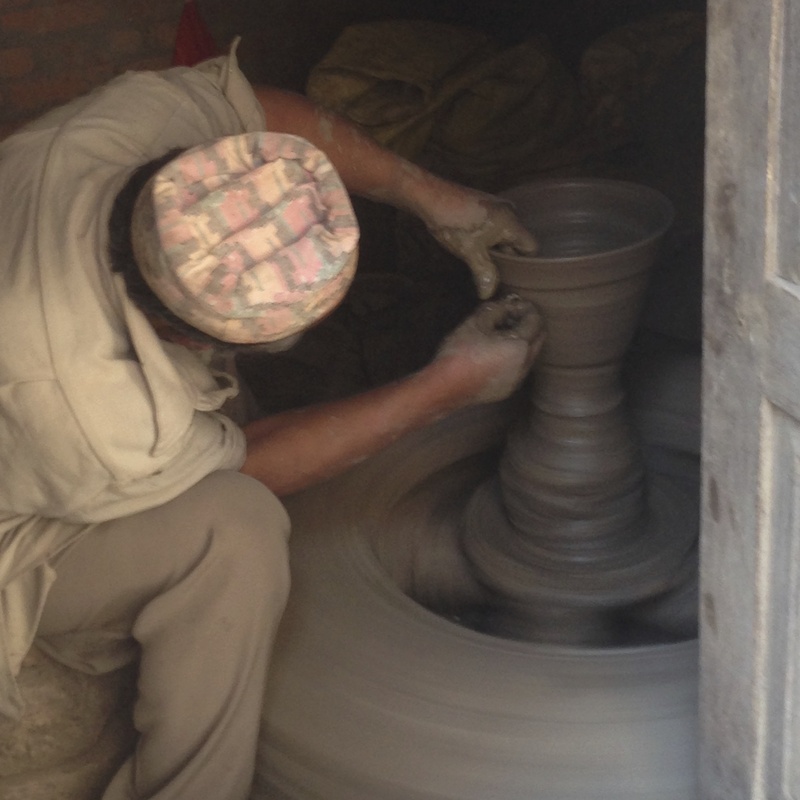 I was taken there a year ago by World Craft Council vice president, and a local Nepali, Pushar Man Shakya, to meet the local pottery cooperative members and to visit studios. 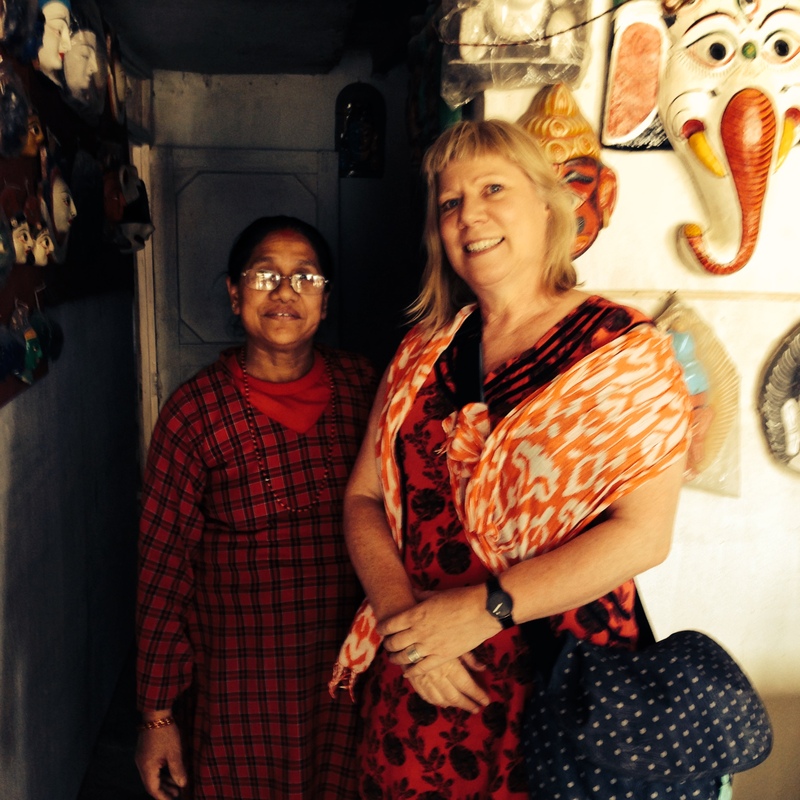 I visited many potters, saw their wonderful crafts, their sublime skills and heard their stories. 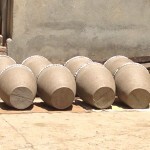 It was a privilege to have an insight from a local and I have maintained my connections to some of the potters over the past year. 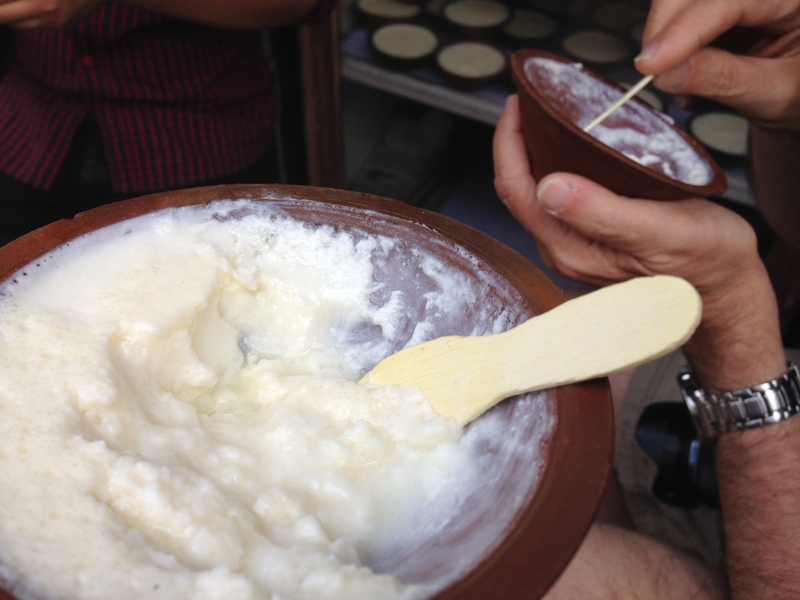 Both Bhaktapur and Thimi are traditional pottery towns and Bhaktapur is listed as a World Heritage Site due to its ancient temples, woodcarvings and ceramic sculptures. 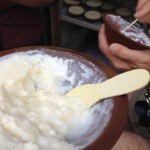 Many of the traditional potters live in four story co-joined ‘terrace’ houses surrounding large courtyards. Yes, four story buildings in an earthquake zone built with no steel frames or concrete, just soft hand-made bricks and ancient hand carved wood. 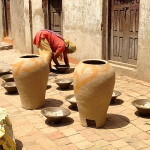 This unique architecture has developed around the needs of the potters: the traditional kilns are fired with straw and ash and would simply blow away and be a fire-hazzard if any wind got into those courtyards so the tall brick buildings are actually protecting the kilns whilst also providing a warm and sunny place to dry the pots and work in co-operative ways, sharing the firing and clay-mixing jobs. It is a peculiar architecture and, as far as I know, unique to the potters. It provides a practical and inspiring solution for a cooperative community that has been built naturally over time according to the unique needs of generations of potters. And the pottery produced is equally inspiring. With no electricity (yes, despite having the best hydropower in the world, we were told that the government rations electricity to their own people due to archaic financial deals that were made with India in the 1970’s!) the potters work completely off-grid, using home-made wheels powered by hand and finished by a highly-skilled hand-paddling method. These sublimely-skilled potters making wheel-thrown and hand-built vessels and sculptures from local earthenware clay, low-fired in the straw and ash kilns, are sold to the locals for curd-setting, water-coolers, alcohol (Rakishi) fermenting vessels, general storage vessels, roof tiles and decorative architectural sculptures. With no chance of tourists supporting the pottery industry (the pots don’t travel well), the potters have a hard enough life without losing their homes and studios. And that’s where we/you come in. The impressive Australian craft organisation Seven Women has started an Emergency Earthquake Relief Fund. More specifically, the ceramics community has a global reach and there are now many ways that we can assist Nepal in the recovery. Potters helping potters. Already, there’s the Clay for Nepal on 15-17 May, where ceramicists have generously donated their works for an online auction, the proceeds of which will go to Oxfam Australia Nepal Earthquake Fund. It’s a great opportunity to help Nepal while acquiring a beautiful art work. Oxfam are a credible organisation that deserves support, but there’s also the potential for donations that go to potters directly. We have created a safe way to get our donations direct to the traditional potters through the World Craft Council – Australia. If you wish to help with this project directly, please join us. The World Craft Council – Australia will work closely with the Federation of Handicraft Associations Nepal, who will then distribute the money to the potters to help re-build so that they can maintain their strong links to their ceramic history. 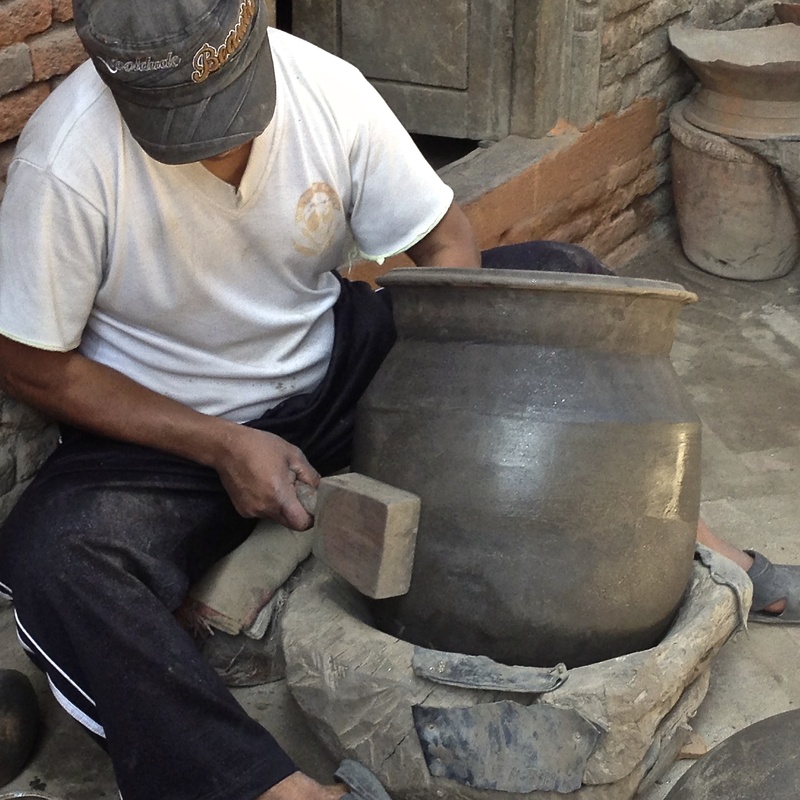 The vice-president of the World Craft Council, Pushkar Man Shakya, who is on the ground in Nepal will help advise the Federation of Handicraft Associations Nepal and ensure 100% of our funds reach the potters. We are very grateful to Mr Shakya and the Federation. How much can you give? We realise there is a lot of giving going on but please know in this instance your funds will be given direct to the communities. Be sure to label your transfer with the word ‘Nepal’. Email us at support@wccaustralia.org.au if you have any questions or if you would like to help out with organising future fund-raising activities. If you want to be updated about the Nepal situation or a future emergency affecting craftspersons, you can also send your details here. Our hearts go out to those in Nepal devastated by the earthquake. 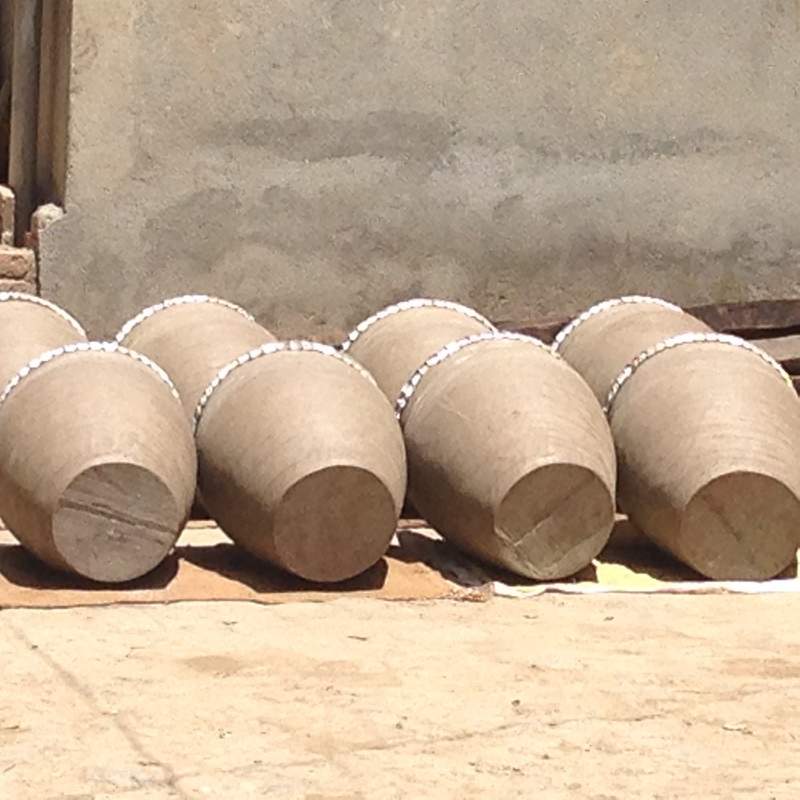 I had not appreciated the particular challenges for the local potters so was pleased to read this. Thank you, and congratulations to all involved in getting this initiative up and going. I look forward to making a contribution.